The Kings family has lived on Loosewood Island for three hundred years, and they’ve been blessed with the bounty of the sea. But for the Kingses, every blessing comes with a curse. Woody Kings, the leader of the island’s lobster fishing community and the family patriarch, teeters on the throne. Cordelia, the oldest of Woody’s three daughters, stands to inherit the crown after the death of her brother. To do so, however, she has to fend off meth dealers from the mainland while navigating sibling rivalry and the vulnerable nature of her own heart when she falls in love with her sternman. 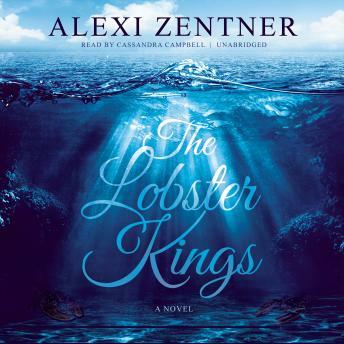 A love story and a modern epic in the grand Shakespearean vein that introduces a fiery and unforgettable heroine, The Lobster Kings is the story of Cordelia’s struggle to maintain her island’s way of life in the face of danger from offshore and the rich, looming, mythic legacy of her family’s namesake.